For a $20 donation to I Support Adoptions, we will send you this top quality T-shirt to wear proudly and demonstrate your patronage for this cause. The donation includes shipping and is tax deductible. 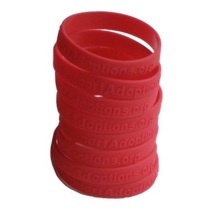 For a $5 donation to I Support Adoptions, we will send you this personalized wristband to wear proudly. The donation includes shipping and is tax deductible. 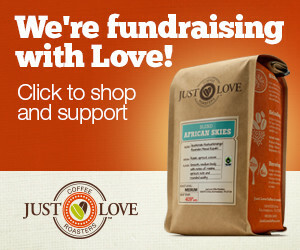 Just Love Coffee roasts fair trade specialty coffee and uses the proceeds to help those involved in raising money for orphans. I Support Adoptions will receive $5 for each bag of coffee ordered.